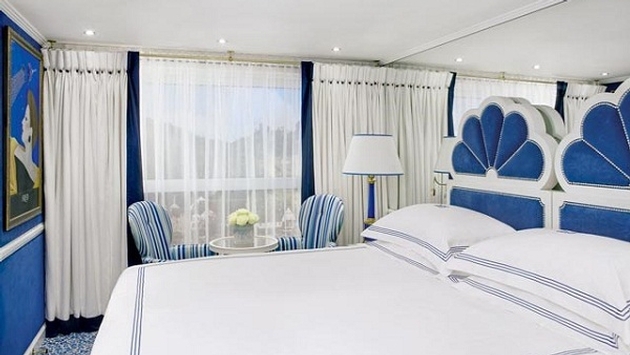 PHOTO: The staterooms aboard S.S. Maria Theresa revel in elegance. (Photo courtesy of Uniworld Boutique River Cruise Collection). Uniworld Boutique River Cruise Collection proudly announces its next new Super Ship, S.S. Maria Theresa, will be launching in spring 2015. Uniworld’s S.S. Maria Theresa is befittingly named after the Archduchess of Austria and Queen of Hungary and Bohemia, the great Maria Theresa who reigned from 1740 to 1780. The S.S. Maria Theresa will sail this very region on Uniworld’s "European Jewels " from Budapest to Amsterdam. 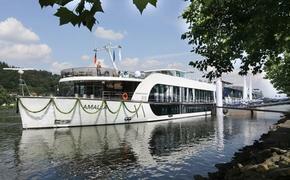 She will also sail on "Tulips & Windmills," "Danube Holiday Markets," and "Enchanting Christmas & New Year’s" Cruise. Uniworld’s unique approach to river cruise ship building differs from their competition on several levels, which is quite evident from the recent launch of their new Super Ship, S.S. Catherine sailing the South of France’s Rhône and Saône rivers. “The S.S. Catherine has been sailing for a month, and we have received amazing feedback on the ship and its wonderful amenities from the first guests sailing onboard,” said Young. Unlike a mass market, cookie-cutter approach, Uniworld’s ships are all distinctively designed and decorated with the same signature touches for which Uniworld has become known—rich in character with inspiring original hand-selected art, classic furnishings, and old world antiques. Uniworld is one of the few river cruise companies to handle all of their own hospitality and hotel management efforts, as well as food delivery. Be among the first to sail on the S.S. Maria Theresa in 2015. Couples who pay in full at the time of booking can save up to $1,800 on the S.S. Maria Theresa’s all-inclusive itineraries. This value-packed savings program expires June 30, 2014.